Nyanga Gold Ikamvanites Get a Taste of the Arts! Amidst all the craziness of World Cup matches and Winter School, gold Ikamvanites from Nyanga took a welcomed break from their studies to take a trip to Cape Town City Bowl District for an afternoon of art and theatre. They started off the afternoon by visiting the Goodman Gallery in Woodstock. 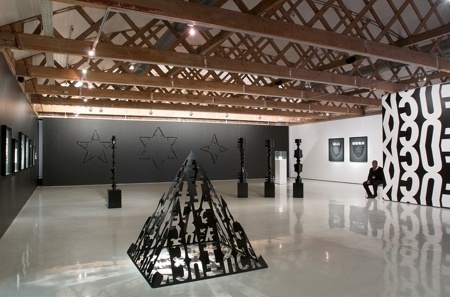 Their exhibit featured South African artist Kendell Geers and his collective work entitled Thrid World Disorder. The Ikamvanites were fortunate enough to have a personal guide for the exhibition focusing on tranformational images and language. 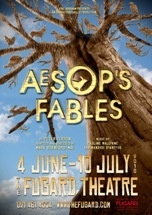 After a quick bite to eat for lunch, the Ikamvanites ventured forth to the Fugard Theatre to watch the well-received musical of Aesop’s Fables. With lots of music, singing, danicing, and joking eveyone had a wonderful time in town. 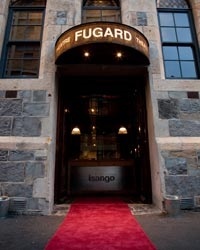 Special thanks to James Krowlikowski for arranging the afternoon’s activities, the Goodman Gallery and its staff, as well as the Fugard Theatre for their warm reception. FIFA Fever: Can You Feel It? It is Here! IkamvaYouth is a non-profit organization based in from Khayelitsha, Nyanga and Masiphumelele in the Western Cape, Ivory Park in Gauteng, the greater Cato Manor area and Molweni in KwaZulu-Natal. IkamvaYouth is a for-youth, by-youth leadership organization that focuses on self-empowerment of its students in grades 9-12. We volunteers are community members who are either international university students or past IkamvaYouth graduates who believe in making a change. We believe that students are the masters of their own futures and successes and only by challenging and supporting each one of them to believe in their own strengths and skills. By doing so, we believe that students will be better equipped with the proper skills for education as well as the job market. We not only focus on educational initiatives but also on social and civic initiatives. Our success is marked by the number of students who graduate from high school and progress to either university or success in the job market. 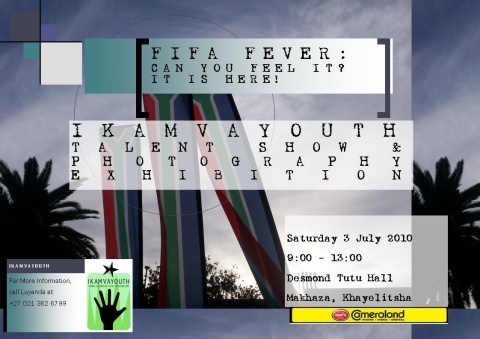 In the Western Cape, IkamvaYouth is hosting its annual Talent Show & Photography Exhibition in Makhaza. Come feel it! It’s here! On Saturday 3 July, ikamvanites from the Makhaza, Nyanga and Masiphumelele branches will be expressing themselves, showcasing their talents and having fun, following weeks of intensive hard work at their respective winter schools. This year, our theme is FIFA Fever, which focuses on the soccer spirit of the townships and its effect on the learners. We wish to showcase the skills of our learners and our volunteers in many different ways such as poetry, song, dance, and photography. The World Cup has asked each South African: “Can you feel it? It is here!” We at IkamvaYouth have also asked our learners this, but with a twist. Your Success. Take it. It is here, and it is yours to take. We invite everyone to our Talent Show & Photography Exhibition, and encourage you to attend our event and support and celebrate our learners and volunteers. Photographs taken by our learners will be on display. With a small donation to IkamvaYouth, you will have the opportunity to order a photograph taken by one of our learners. Your support goes directly to the future of IkamvaYouth and its learners. We thank you for your support! Bring your vuvuzelas and join in the ayoba celebrations at the Desmond Tutu Hall (near the Nazeema Isaacs library, cnr Lansdowne and Cekece Roads in Makhaza, Khayelitsha) from 9am to 1pm. A horrible thing happened at the end of an amazing Winter School here in Gauteng – the taxi transporting the even more amazing volunteers crashed on the M1 Highway. Thankfully no-one was seriously injured beyond some cuts, scrapes, bruises and stitches. It was a frightening experience and many of our volunteers woke up this morning (Saturday) very tender and very sore but grateful to be alive. As part of the IkamvaYouth family, we all hurt when any one of us hurts and our thoughts are with all the Ikamvanites involved. May the recovery be speedy!!! Feel free to leave messages of support in the comments section below. Today Molly Blank screened her powerful film Where Do I Stand? At the Nyanga branch’s winter school at UWC. “When xenophobic attacks broke out across South Africa in May 2008, many found themselves caught off guard, shocked by violence that felt like a violation of the principles of their newly democratic nation. In the midst of this violence, many young people, clad in the bright greens and maroons of their school uniforms, looted neighborhood shops while some of their classmates, refugees themselves, fled to safer ground. Some youth tried to find a way to help, but still more stood by, watching from their windows or on television. Where Do I Stand? captures the optimistic voices of youth trying to make sense of what they experienced and the choices they made during the violence…” (wheredoistandfilm.com). Ikamvanites were very moved and thought-provoked after the screening, and shared their ideas and opinions with Molly. Branch coordinator Nombuyiselo Dziba urged the learners to stand up in their communities, as although they are young, they are priveleged with the education they’re receiving, and can lead their communities to think differently. “Where do I stand?” will be screened and discussed at all five winter schools.